Neighborhood – Greenville experienced a dramatic revitalization that transformed a once down-on-its-luck business district into one of the most livable, vibrant communities in the city—and the best is yet to come. Carefully planned urban-style development has created a countless array of restaurants, nightspots, parks, plazas, and urban residences. Housing – The community features mixed-use developments with condos and townhomes, with more still slated to be built. 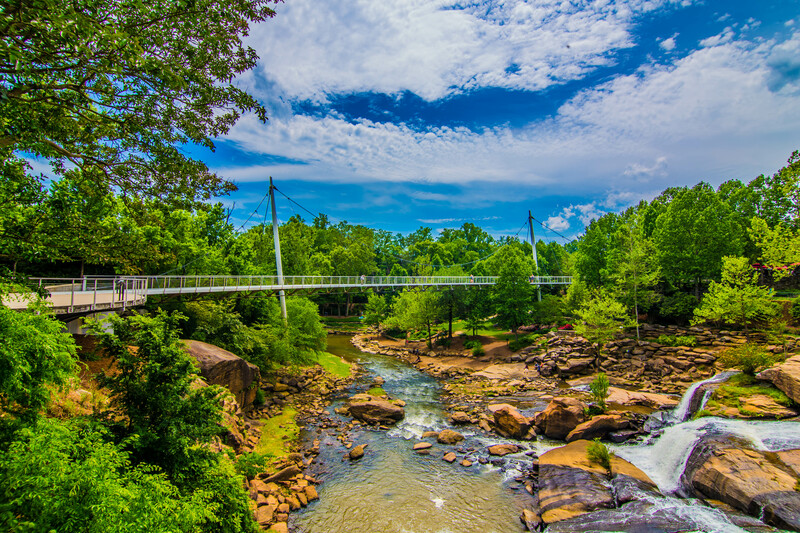 Downtown offers a distinctly urban style of living, from historic apartments above Main Street businesses to contemporary condos overlooking the Reedy River and Falls Park. Lifestyle – There are countless festivals and celebrations, including Fall for Greenville, and seasonal celebrations like Downtown Alive and the Greenville Saturday Market. Downtown is also home to many of Greenville’s best music, theater, and comedy venues.